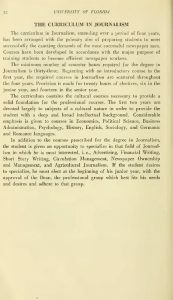 In 1920, the program was moved to the College of Arts and Sciences and a “newspaper writing” course was introduced as part of the English Department. 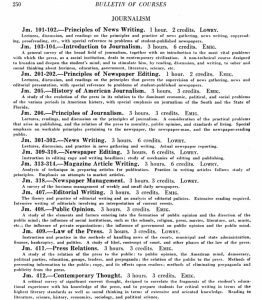 In 1925, the Florida State Legislature approved appropriation for setting up the Department of Journalism and hiring a full-time professor. The program was moved the School of Business Administration and Journalism. The founding professor was Orland Kay “O.K.” Armstrong, who later went on to become a working journalist, Republican congressman from Missouri and social activist. 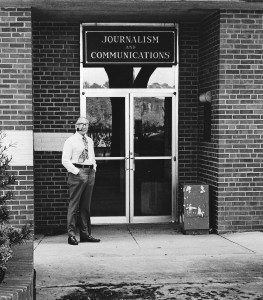 The College of Journalism and Commerce was formed in 1927 and the department expanded to a second faculty member, Elmer J. Emig. 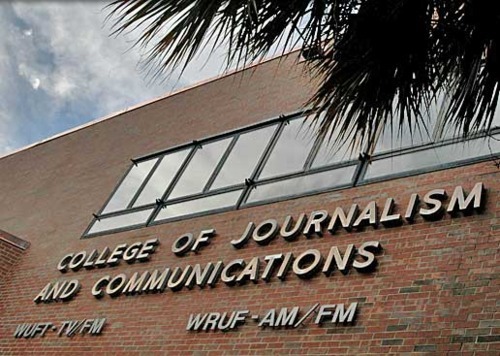 The next year, the first degrees in journalism were conferred and WRUF-AM went on the air. Professor Emig was named department head in 1929. 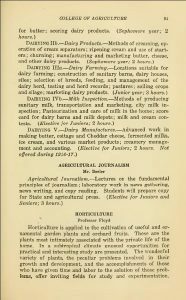 In 1933, the Department of Journalism was moved back to the College of Arts and Sciences. 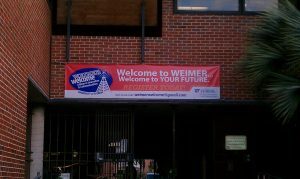 On July 1, 1949, the School of Journalism was founded and Rae O. Weimer was named head of the school. The journalism program now had three full-time faculty members with the addition of John Paul Jones, Jr. 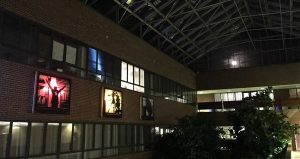 In the 1950s, the School of Journalism was accredited (1950), the program was expanded to the School of Journalism and Communications (1954), Advertising became accredited and the school was moved into the Stadium Building (1955). The School started teaching television, WUFT-TV debuted and the program was accredited in Radio-Television (1956). 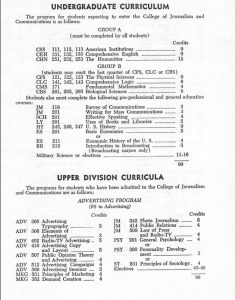 In 1959, James “Mickey” Ellenberg became the 500th journalism graduate. 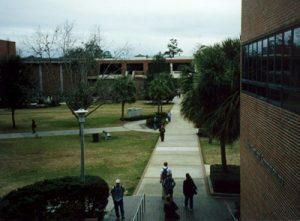 Then in 1967, the Board of Regents voted for the School to become a College and in the first students enrolled for the 1968-69 academic year. John Paul Jones, Jr. was named dean. In 1969, the 100th student graduated from the College’s master’s program. Ralph Lowenstein became dean in 1976 and moved the program to the brand new Weimer Hall in 1980. In 1981, WUFT-FM went on the air. In May of 1990, the first two doctoral degrees in mass communication were conferred. 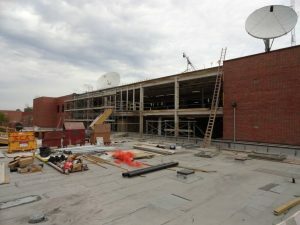 In 2012, three independent newsrooms were combined into the Innovation News Center, a state-of-the-art facility delivering news content through radio, television and digital platforms. 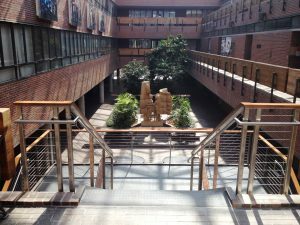 In 2016, the College launched Hatch, a content and product incubator. 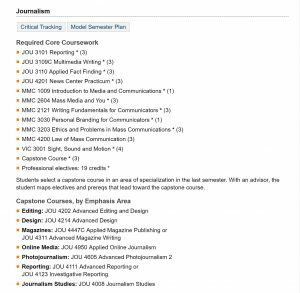 Today, the Department of Journalism has 17 full-time faculty members and 34 adjuncts. Courses range from reporting and magazine writing to environmental and solution journalism to data journalism and coding. Students are winning awards in both college and professional categories, regionally and nationally.